Charlie loves Halifax and he wants it to be dog friendly! : Welcome to Charlie loves Halifax! Welcome to Charlie loves Halifax! The HRM has exploded with dog friendly stores recently as they realize that we are a demographic that likes to spend our money politically - and we want to take our dogs with us when are out doing our errands - why leave our dogs at home when we don't have to? We aren't taking our dogs into stores so that they can play with the other dogs - we have them there as our companions, as our plus-ones - they don't pee and poop inside our houses - so why would they pee and poop inside stores? Two of the most dog friendly areas in the HRM that really stand out are Dartmouth Crossing and Quinpool Road in Halifax - their business associations have even published information sheets that list all the stores in the area that are dog friendly which is AWESOME! You can find those listings - for Dartmouth Crossing - HERE - and for Quinpool Road - HERE - if the other business areas of the HRM would do that - then I can assure you - they would get more business! 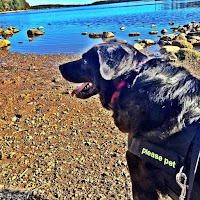 This website is maintained by one person - my name is Joan and I have five personal dogs - and my mission is for people to get out with their dogs and enjoy everything that the Halifax Regional Municipality has to offer us! I am pretty political in my belief's about being able to take my dog places with me - I don't take all 5 of my dogs out with me at once - I'm not that dog crazy! But I believe that our dogs deserve to have every flavour of life that we can offer them - on leash exercise, off leash exercise, going on errands with us - going swimming - whatever they can handle - is what we should give them. If your dog can't handle certain things - then that activity isn't for them - but if they are social, will listen to your obedience commands, like being touched by people - then get them out in society and be an ambassador for the breed of dog. There's so much you can do, and your dog wants nothing more than to spend time with you - so get out there and do it! Living a dog focused lifestyle is a conscious alternative - and as someone who has lived that choice for many years I can tell you - it's a lot of fun! Recently this site has been under construction - so you may find some links that are bad - if you do find a link that doesn't work - of if you've found a dog friendly business that isn't listed here - email me at dogkisser@gmail.com - and I'll add it to the site - thank you for your patience while I get the site updated! Is this not the cutest dog ever? This is my dog Tia - and she loves to go shopping - so if you see me out at local store - this is probably going to be the dog you're going to see me with! There are SO MANY dogs and dog owners in the HRM - and we love our dogs and are willing to spend money on them. So feel free to spend as much time as you want with your canine life companion - there are plenty of places out there who are willing to let you spend your money in their stores! 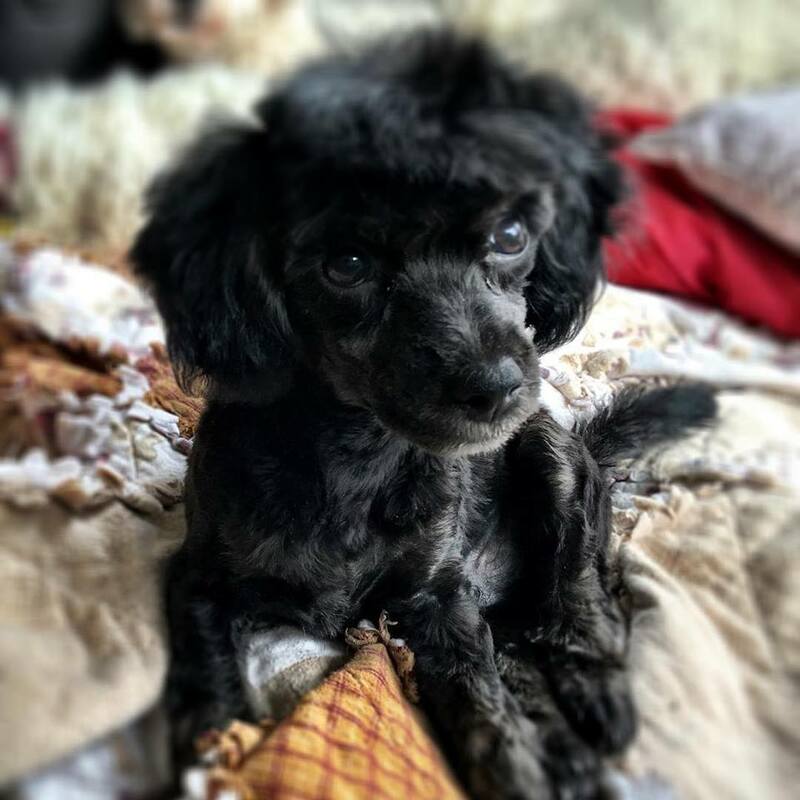 The best thing I ever did was to go out and get a puppy (from a local rescue!) - we have been having the best time getting out to all the off leash parks and beaches and learning about socialization and all the things that puppies are supposed to learn. Now we are heading into canine adolescence - the teenage years - so if you're out and about - and you see a middle aged woman pulling out her hair - and the most beautiful little bichon frise being absolutely disobedient - you'll know that you've come upon the author or the Charlie loves Halifax website! This is my newest dog Bodhi - you may see me out shopping with him too! 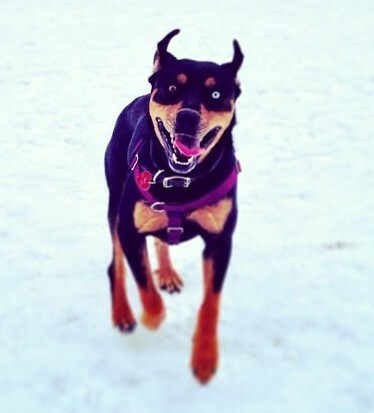 Our dogs need every flavour of experience to have a complete and filled life - and that includes lots of on-leash, as well as off-leash walks - on leash walks teach impulse control and get them to focus on the people they love the most - us - which is a super reason right there to get off the couch! One place you might want to start looking for things on this site - is the "site map" - it lists all the pages on this website on one page - from every park that I've gone to, to a page that talks about dog food, to what to do if you find a tick on your dog - to a page about poetry for dogs! So have a look at the site map and go from there! 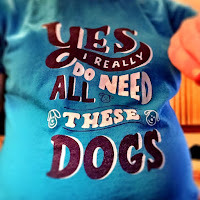 I also have a blog if you are interested in learning about local dog politics - the blog is at http://dogkisser.blogspot.com/ - so go check that out regularly if you want to know what's going on! I hope you enjoy this website - it has been a labour of love for me since I started my first website for dogs in 1998 - it is only a hobby and I've never received anything or made any money - my salary is your and your dogs enjoyment and the increased socialization of your dog - I don't think there's another website like this in North America - so please enjoy it - and if you have anything to do - don't hesitate to contact me! BAD NEWS FOR SHOPPING DOGS - I was at the Value Village in Bayer's Lake - and dogs are no longer allowed there - I can't tell you how many peaceful hours I have spent shopping there with my dog Buttercup in my arms and that will never happen again with my new dog Bodhi because I guess some person's dog barked at someone and that person complained to the management so now they've banned dogs from the store - PLEASE, if you are going to take your dogs shopping with you - make sure they can handle going out in public and are well mannered and are friendly, so that they don't cause scenes so that situations like this don't happen and we lose more stores that welcome us. 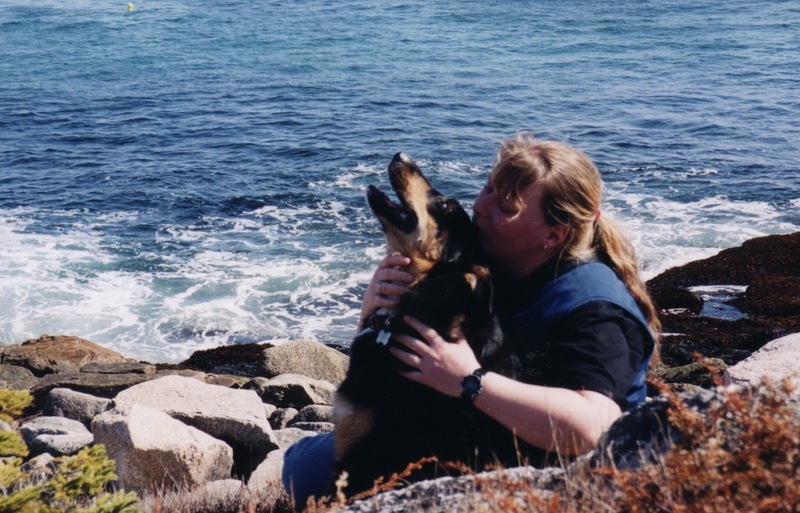 "Charlie Loves Halifax" was started back in 2002 as a way to spend more time with my once in a lifetime dog Charlie - who you see here on the left - a lab/sheltie mix who I was lucky to get from the NS SPCA in 1989. 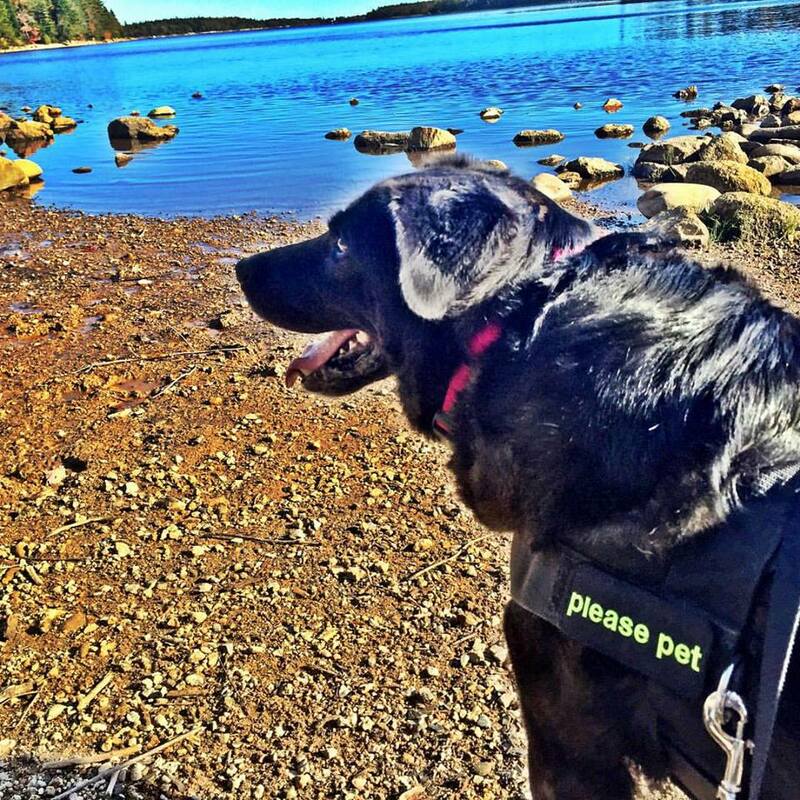 It's my belief that well socialized, well mannered dogs should be able to just about anywhere that we go - and this website is a way for us as dog owners in the HRM to facilitate that. When Charlie was younger I used to take him everywhere that I went - I called him my 100 pound pocket dog - and when he got older - I took my poodle mix Buttercup with me - who you'll also see everywhere on this website. I'm very sad to say that in June, 2011 I lost Charlie to old age - as well as the love of his life Daisy, so this website is now a tribute to them. It doesn't matter the size of the dog - they all want to spend as much time with us as possible - and that's what this site is about - being able to take them with us on our errands, going shopping - finding the best resources - being able to give our money to businesses that cater to our demographic - and giving our dogs the best quality of life that we can. And it all started with my soulmate Charlie. Everyone who comes to this website has had a "Charlie" in their life - and it's to these dogs that this website is dedicated. Joan, love the re-vamped Blog. Over 3 million hits ? Well-deserved. I still recall how you helped me find a vet back in Ontario who wouldn't "turn in" our Pitbull cross. (To others who don't know me, we moved to Nova Scotia to save THAT dog). I'm still amazed Joan by the generally "dog friendly" nature of this province. My recent visit back to Peterborough, Ontario and seeing a local group struggle to create an off-leash park reinforced that belief. The group had to fund raise $25,000 to fence an area. We're so lucky to live where we do. I am sure that your advocacy has contributed to that situation. Thanks again. That's awesome Brittany - I'll add it to the website!